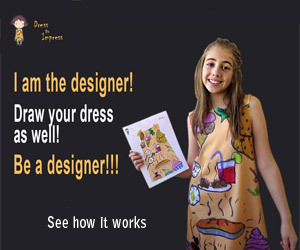 We offer you to create and wear your self-designed dress! You can draw whatever picture you want or you can even create an application or collage on our template. Believe us, it is a unique feeling to wear your own design! NeRa fashion presents womenswear - dresses, jackets, skirts, and so on. Classic models and stylish lines.